Once you have settled down to the fact that it is going to be a very slow journey through Umrao Jaan’s cheerless life, you are up for a touching narrative and some wonderful show of talent. Aishwarya Rai has given an outstanding performance. Yes, you read that right – performance – she can actually act! It is a mystery why she deprived us of her talent all this while. Her expressive eyes could alone do most of the acting for her. Also she looks equally stunning and elegant both in the pastels and the few brighter costumes. Despite being at her best, emotions aroused by ten lines delivered by Aishwarya, can be kindled by just one movement of Shabana Azmi’s eyebrows. That is the prowess of this veteran’s acting. While Abhishek Bachchan looks a little unsettled in his first few scenes, he is sure to win some more hearts by the flavor he gives to the nawab’s character. All well and good, but be warned - it is a long, slow movie. A visual treat is laid out for you. Be it Aishwarya or Abhishek, be it the glittering costumes and jewelry or the ornate sets – everything is grand. The outstanding acting and the magnificent overall look lend to some outstanding Aishwarya-Abhishek scenes. While the original base story is retained, the screenplay is polished a bit, for the much needed clarifications in the plot. If only the producers had given a set run-time for the director/editor to stick to, the movie would have been appreciated better because – it is a long, slow movie. Anu Malik needs to be saluted just for the entirely different genre of music he has produced. The classical music and the meaningful lyrics are simple yet enjoyable. The use of contrast colours for background and Aishwarya’s attire add value to the overall picturisation of the songs. 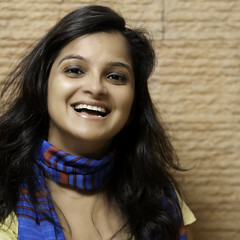 Vaibhavi Merchant’s choreography has the ‘Kajra re’ flavor and is gracefully rendered. It is a shame though that minimal Urdu is used – for the dialogues and the poetry – because this was the apt forum to bring the beautiful language to the younger generation. Maybe the strategy was to appeal to a bigger audience by avoiding the language. For mass appeal, my vote would go to reducing the length of the movie by a good 45 minutes. Difficult to leave out the fact – it is a long, slow movie. There are technical flaws. The definitions of ‘sher’ and ‘ghazal’ have not been adhered to in a few dialogues. Some side characters are not fully developed, like Umrao's friends played by Divya Dutta and Ayesha Jhulka, . The make-up, dubbing and dialogue delivery of some extras is so awful that you cannot stand them for the two lines they have. Anyway, everyone involved seemed to have a lot of time at hand. No wonder the extra leisurely walk through the life of a great poetess. Did I mention – it is a long, slow movie. As promised, no futile attempt at comparisons. J. P Dutta’s Umrao Jaan is simply a pleasure to look at, outlined by some great acting. And hey, it just might be worth it because you get more time in the theatre for the same price because it is a …. Yes! You got that right! *sigh* to each his own, saurabh!